Buy 24 or more for $2.37 each. Perfect evangelist tract for Mother's Day, this updated version of a favorite tract tells the story of a mother's love for her injured and hospitalized son. 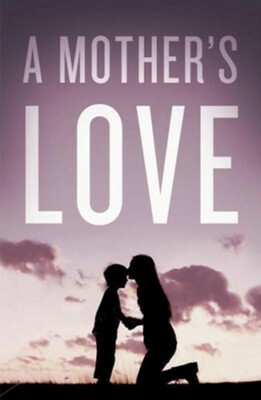 As much as a mother loves her child, God's love is perfect, limitless, and giving. A brief retelling of the Gospel invites readers to accept God's healing and forgiveness. Pack of 25; ESV translation. I'm the author/artist and I want to review A Mother's Love (ESV), Pack of 25 Tracts.